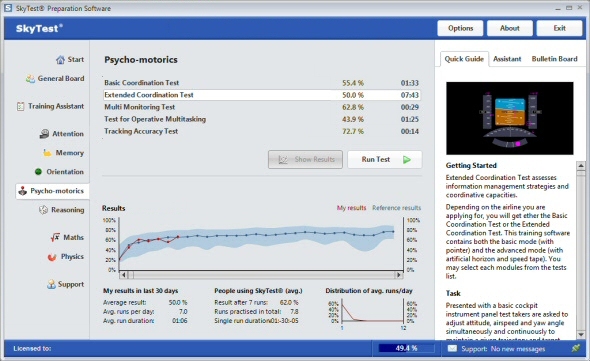 SkyTest® preparation software is the trusted solution to strengthen cognitive and operational aptitudes tested in pre-hiring screenings of international airlines and air navigation service providers. Established in 2003 SkyTest® supports motivated pilot and ATC applicants in the process of screening preparation with well-crafted aptitude training systems. As of today SkyTest® software products are available for several platforms including Windows™ and iPad™. Our software not only compiles distinct test prepartion modules but also provides additional features for an efficient training.